CORNING, N.Y., June 28, 2016 - Corning Incorporated (GLW) today announced its investment in Versalume LLC, a new company headquartered in California`s Silicon Valley. Versalume will focus on developing smart, integrated products and solutions based on Corning® Fibrance® Light-Diffusing Fiber. 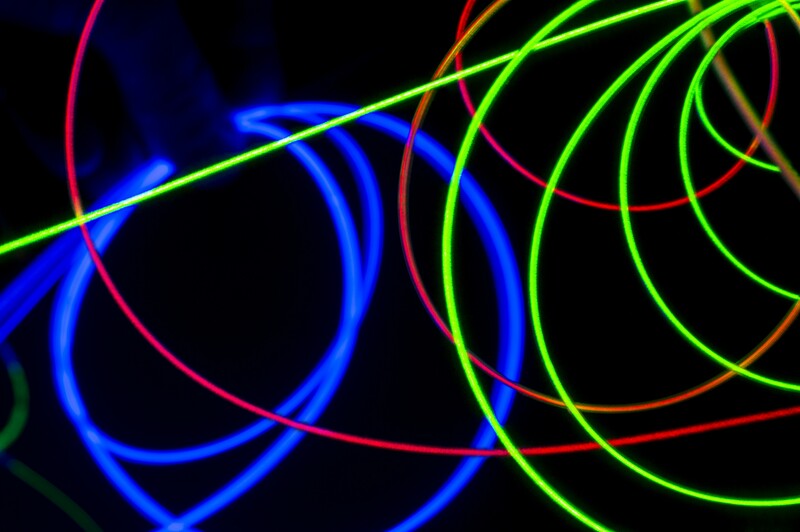 Fibrance is an innovative optical fiber created by Corning from a unique glass composition for maximum flexibility - it can be bent, curved and wrapped around almost anything, while maintaining bright, beautiful, and uniform light. Versalume will lead all commercial development efforts for Fibrance, serve as its exclusive distributor, and also offer integrated technology solutions. Corning will leverage its long history and expertise in glass and materials science to manufacture Fibrance. Corning representatives also will serve on Versalume`s board of directors. "Fibrance dramatically expands the toolbox for where and how light is delivered, and Versalume will make it easy for designers to capture its potential. We look forward to witnessing the creativity and impact of the developing Fibrance ecosystem," said Paul Then, director of early stage business development at Corning. 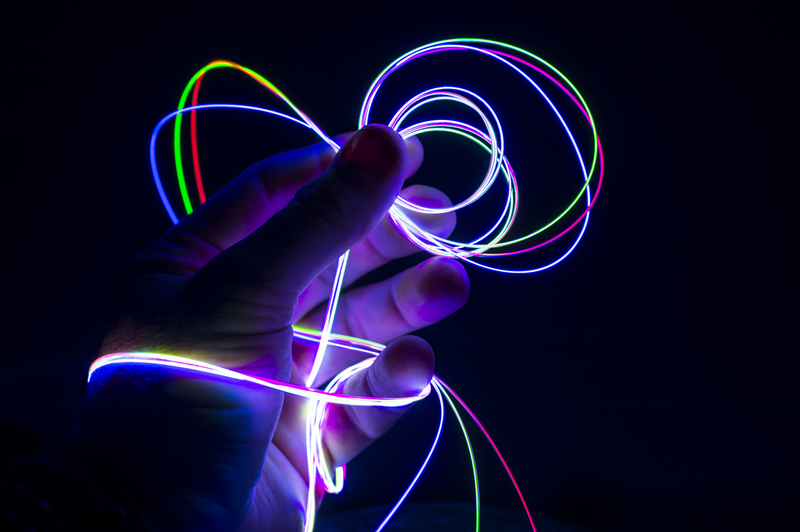 "Fibrance combines Corning`s strengths in glass, optical physics, and fiber manufacturing, but its benefits extend beyond Corning`s current market focus. Versalume will enable Fibrance technology to quickly get into the hands of designers and customers in applications that span the consumer, architectural, automotive, and medical industries seeking to solve difficult lighting challenges." Mario Paniccia, a Silicon Valley executive and entrepreneur, has been named Versalume`s chief executive officer. As Versalume`s founding leader, Paniccia brings his experience in the photonics and electronics industries, as well as his broad connections in Silicon Valley to Versalume. "I am excited for the opportunity to lead Versalume," Paniccia said. "We are already creating products that use Fibrance Light-Diffusing Fiber and developing new commercial opportunities with some of the best industrial designers, innovators, and thought leaders in Silicon Valley and throughout the rest of the world." This press release contains "forward-looking statements" (within the meaning of the Private Securities Litigation Reform Act of 1995), which are based on current expectations and assumptions about Corning`s financial results and business operations, that involve substantial risks and uncertainties that could cause actual results to differ materially. These risks and uncertainties include: the effect of global political, economic and business conditions; conditions in the financial and credit markets; currency fluctuations; tax rates; product demand and industry capacity; competition; reliance on a concentrated customer base; manufacturing efficiencies; cost reductions; availability of critical components and materials; new product commercialization; pricing fluctuations and changes in the mix of sales between premium and non-premium products; new plant start-up or restructuring costs; possible disruption in commercial activities due to terrorist activity, armed conflict, political or financial instability, natural disasters, adverse weather conditions, or major health concerns; adequacy of insurance; equity company activities; acquisition and divestiture activities; the level of excess or obsolete inventory; the rate of technology change; the ability to enforce patents; product and components performance issues; retention of key personnel; stock price fluctuations; and adverse litigation or regulatory developments. These and other risk factors are detailed in Corning`s filings with the Securities and Exchange Commission. Forward-looking statements speak only as of the day that they are made, and Corning undertakes no obligation to update them in light of new information or future events. In accordance with guidance provided by the SEC regarding the use of company websites and social media channels to disclose material information, Corning Incorporated ("Corning") wishes to notify investors, media, and other interested parties that it intends to use its website (http://www.corning.com/worldwide/en/about-us/news-events.html) to publish important information about the company, including information that may be deemed material to investors. The list of websites and social media channels that the company uses may be updated on Corning`s media and website from time to time. Corning encourages investors, media, and other interested parties to review the information Corning may publish through its website and social media channels as described above, in addition to the company`s SEC filings, press releases, conference calls, and webcasts. Corning (www.corning.com) is one of the world`s leading innovators in materials science. For more than 160 years, Corning has applied its unparalleled expertise in specialty glass, ceramics, and optical physics to develop products that have created new industries and transformed people`s lives. Corning succeeds through sustained investment in R&D, a unique combination of material and process innovation, and close collaboration with customers to solve tough technology challenges. Corning`s businesses and markets are constantly evolving. Today, Corning`s products enable diverse industries such as consumer electronics, telecommunications, transportation, and life sciences. They include damage-resistant cover glass for smartphones and tablets; precision glass for advanced displays; optical fiber, wireless technologies, and connectivity solutions for high-speed communications networks; trusted products that accelerate drug discovery and manufacturing; and emissions-control products for cars, trucks, and off-road vehicles.